Dust Control performance is primarily a function of a product’s ability to bind water on the road surface and prevent fugitive dust from getting loose. Though not immediately obvious, this helps us understand why relative humidity has a material impact on product effectiveness. 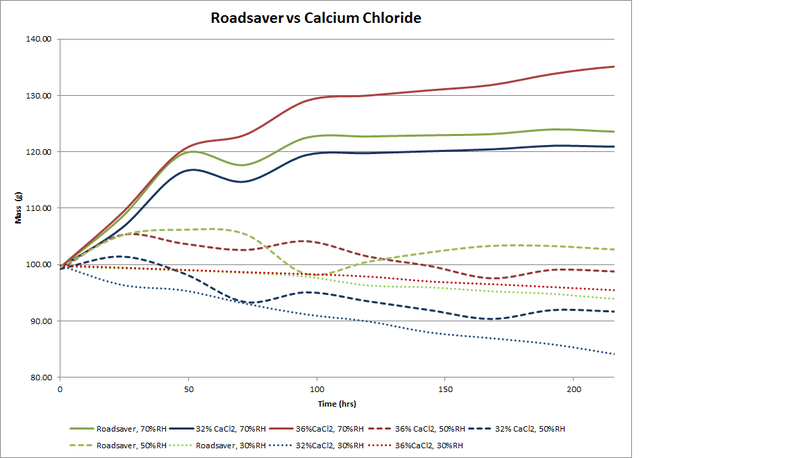 It turns out that CaCl2 and MgCl2 (ESI’s Product Roadsaver) relate differently to relative humidity, even though they are both working to bond with (and bind) water. Furthermore, it is important to be sure you know what concentration you are using. Although not a comprehensive list of factors to consider while selecting a product, this should help you know what to ask for, based on your climate. If you appreciate science and like visual aids, here is a chart illustrating our testing on this topic. To learn more, contact us.